The German artist, engraver, mathematician and art theorist Albrecht Dürer (21 May 1471 – 6 April 1528) was a pretty amazing archetypical Rennaissance man. What is generally not realised though is that he was the inventor of the first selfie. 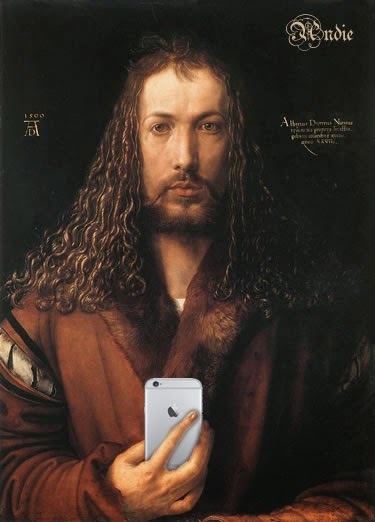 This painting from 1500AD titled 'Selfie at 28 Wearing a Totes Amaze Coat with Fur Collar' can be found at the Alte Pinakothek art museum in Munich. Proof if ever proof be needed. Hi! Did you edit this image? If so, can I borrow it for my thesis about selfies? I shall do just that. Thank you very much!